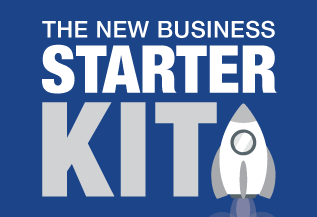 Looking to Accelerate Your Business Growth? If you're a business owner looking for more than just financial statements and tax returns from your accountant, welcome to Accelerate Accounting Group. Based in Balcatta in Perth we are a pro-active and innovative accounting and business advisory firm who specialise in helping business owners. As a suburban accounting firm we offer you all the usual accounting and tax compliance services, however, it is our services beyond compliance that distinguishes us from other accounting firms in Perth. We are not your average firm of accountants who just keep the score and our mission is to help you grow your revenue, your profit and your business value. We will help you slash the time and cost associated with bookkeeping and GST compliance so together we can spend more time working ON your business and your marketing. Our clients span a broad range of industries and over time we have developed expertise in several industries including earth moving and excavation, the building trades, restaurants, medical practices and retailers. Our industry knowledge could give you a serious competitive edge and we work with clients at all stages of the business life cycle, from start-up to sale. 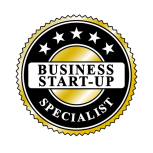 We are recognised as business start-up specialists having mentored hundreds of business owners through the start-up phase. Our client brief includes helping you grow your wealth and as a result, tax effective strategies like self managed superannuation and negative gearing have become niche services within the practice. Our business advisory services are cost effective and you have unlimited access to our team including the Principal, Chris Hanson. Our dedicated team of accountants are committed to ongoing professional development so you enjoy access to the best technical tax and accounting advice available. No job is too big or small for the team and we return your calls and respond to your emails as soon as practically possible. We also visit your place of business whenever possible. If you're a committed and ambitious business owner looking to accelerate your business success we invite you to book a FREE, one hour introductory consultation to discuss your business needs. You'll get practical business, tax, marketing and financial advice designed to help you build your business and grow your wealth. To book a time, call us today on (08) 9240 5340 or complete your details in the box at the top of this page.